It's officially the weekend! Is anyone taking any trips or doing anything fun? Tell me so that I may live vicariously through you since I have to be one of those suckers that will be up super early on Saturday for work. Boo. I've been wanting to try a fishtail pattern for a while now, and what better opportunity than to use some bright summer colors? I used China Glaze Purple Panic, Sinful Colors Why Not, and Elevation Mount Cangyan to layer together to create the fishtail effect. 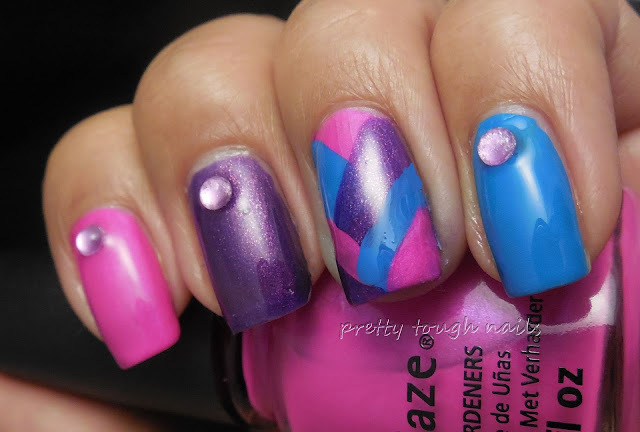 My lines weren't the neatest, but it was fun to overlap the polishes to create the diagonal pattern. Purple Panic, a bright purple cream, was nice and opaque, and dried semi matte which I thought was intriguing. Sinful Colors Why Not, a beachy blue creme, was nearly opaque and streakfree in one coat, whereas Elevation Mount Cangyan, a purple with pink shimmer, was watery and required two coats for opacity. I layered Poshe over all the nails and accented with rhinestones. I probably could have gotten cleaner lines had I used some tape, but as they say, ain't nobody got time for that. I really like the bright colors together and will most likely use each polish individually on their own. 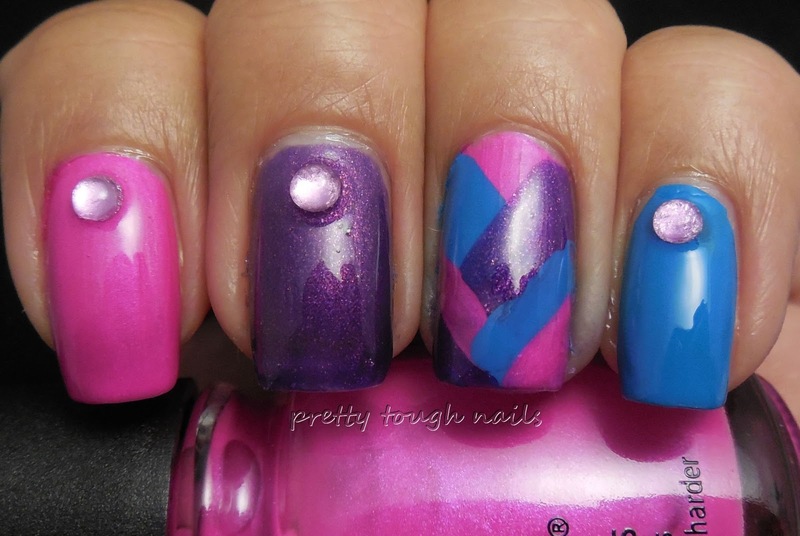 Have you ever tried a fishtail mani before? I would love to see it!! I think it was a lot of fun to try. I bet you'll use some fabulous colors!